Ofilter Player is an easy-to-use multimedia Player. 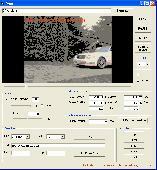 It can play many kinds of audio and video formats such as mp3, wav, midi, avi, VCD, mpeg etc. It supports the powerful playback control: play, pause, stop, step, skip forward, skip backward. It can display and configure all filters' properties during the playback of the video. Koala Player 3. XP is windows player for playing movie files with high quality subtitles and uses speech engine. Main Features: High quality subtitle engine with autoalign, Lector module to which reads subtitles, Skin support with button selection.